El Boquerón, El Bosque and Quebrada De Oro. The three remote communities of El Boquerón, El Bosque and Quebrada De Oro are located 4 hours from the town center of Trojes, Honduras. Due to the very high elevation of this region, 85% of the households have no access to water in or near their homes. The closest water sources are small streams, located long distances from homes. The streams are heavily contaminated. There is limited water supply, and the streams dry up quickly each day. In the summer there is no water. Women and children get up very early each morning to collect water before it is gone. They transport it up and down steep hills, by hand or with the help of a horse or donkey. Bathing is infrequent, as it requires walking up to 5 miles to the nearest river. 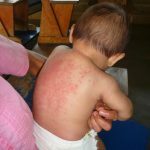 Diarrheal and skin diseases are chronic and widespread, especially among young children. The nearest health clinic is a 4-hour walk away. Students miss school. Adults miss work. Families and communities suffer. NOTE: Approximately $230,000 of the donations have come in the form of volunteered time and resources by the community members and local government! NOTE: BBQ is a project that has taken time to develop and unfold (see Project History in sidebar). Engineering research and surveying was necessary; road improvements were required to get supplies to construction sites; government approval processes were undertaken, allowing “easements” for piping on private property; and more. The IDB Grant covers direct costs of materials and some construction. All of the real labor is being donated by the committed families from the communities. The PWW team affectionately nicknamed this project, BBQ, based on the first letter of each of the three communities the Community Water System will serve. The team members, who worked tirelessly to make this project a reality, made a commitment when naming the project…when water is officially running through the pipes of the system, every team member, no matter where he/she may be in the world, will throw a BBQ celebration. They will connect via Skype, raise their glasses and burgers to the sky and offer a toast to a sustainable, demand-driven and hugely beneficial project! Join us for the BBQ celebration. 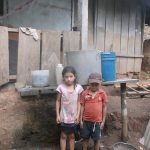 Donate today and your generous gift will provide lasting access to safe water and sanitation for these families. Thank you so much! Change Lives Forever: DONATE NOW! 2012: BBQ communities approach national water and sanitation authority (SANAA) requesting water project funding. No funding secured. 2013: Communities turn to PWW for help. May 2014: PWW and local government agencies hold meeting with landowner and over 30 BBQ community members; a fair usage price is established. January 2015: PWW applies for funding grant with SANAA and the Inter-American Development Bank (IDB). Late fall 2015: Grant is approved in the amount of $158,800.